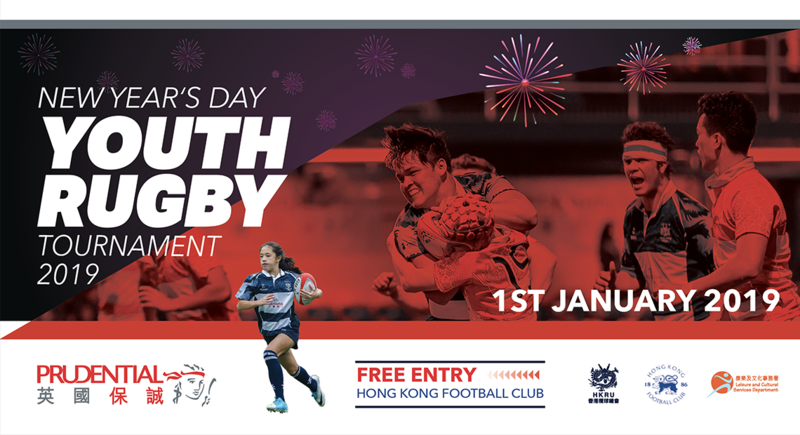 New Year's Day Tournament has existed in various forms since 1967, when the late Vernon Roberts was instrumental in arranging the first Hong Kong v Overseas Schoolboys event as an adjunct to the traditional New Year’s Day Army v Civvie “Old & Bold” match at the Hong Kong Football Club. The event has grown steadily over the past five decades, adding ever more age grades, girls' fixtures, and also featuring the best youngsters from the Union's Junior Warriors programme. Thankfully many of the names and traditions connected with the event have been carefully retained by the succession of hand-picked Tournament Directors, and history is well represented by the names on the trophies still presented to this day - the Roberts Shield, Waterford Bowl, George White Trophy, and of course the Middlesex Cup which dates right back from the earliest years. In recent years the contributions of more currently prominent members of our rugby community have also been recognised with names on silverware, such as the Stuart Leckie Cup, the Wright-Naylor Trophy, Gordon Lamb's Lassies' Quaich, and the Overton Cup, and of course the prestigious Best & Fairest Award each year is named after the much missed Larry Able, another who did so much to grow the youth game in Hong Kong.